Food labeling techniques can affect consumer behavior when it comes to buying products. The CEAE works to prove this statement and enhance the pre-existng techniques. CEAE studies the relationship between behavioral economic decisions and sustainable environmental practices. Different marketing techniques can highlight ecosystem services and change economic behavior. Public goods such as beaches can be impacted by environmental and economic decisions. Our research works to gauge possible reactions to these changes to create policy implications that are realistic and consumer-friendly. Agriculture is a huge factor of Delaware’s economy. Certain research projects in the Center focuses on studying ways in which policy changes could be made to improve agricultural practices in the area. 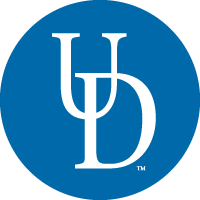 The CEAE team is a diverse group of students, researchers, and professors from the University of Delaware and surrounding universities. The people in this group work together to design, create, and implement outstanding research. Diverse minds create diverse ideas. The possibilities for future research are endless as the Center works to create agricultural, environmental, and economic change.